The new S9V2 furnace is more efficient in both heating and cooling, offers quiet operation, and maintains the DNA that Trane is known for quality and reliability. 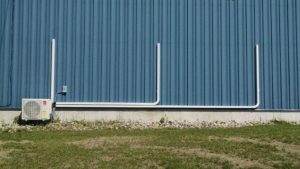 Ductless systems offer the ideal combination of flexibility and affordability when replacing existing HVAC equipment or creating supplemental zones within a living space. Whether mounted on a wall or in the ceiling, these units offer quiet, high-efficiency comfort with no ductwork. Keep your home cool, even on the hottest of days, with a home air conditioning unit. Ameristar air conditioning units provide quiet, effective cooling through the height of summer—while staying within your budget. Our air conditioning units are equipped with essential features, such as scroll compressors and durable cabinets, to maintain maximum cooling performance over the long haul. Trane Ductless Heat Pump to 3 indoor heads installed at Bodyline Collision in Midland. Tested. Trusted. Tough. It isn’t easy building comfort equipment that’s tough enough to perform for homeowners and businesses day after day, year after year—but it’s the only way we’d do it. 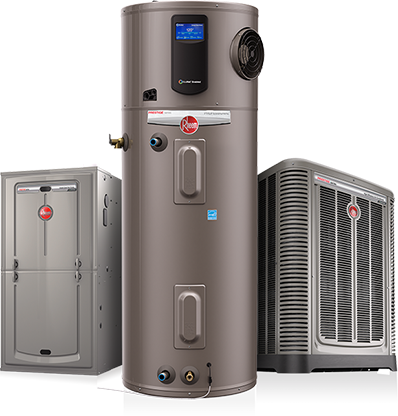 Enjoy greater comfort and performance with a Rheem. Quiet and efficient, reliable, easy to maintain, energy saving, with maximum efficiency. Quiet and efficient comfort is what you get with a Rheem Classic Series Gas Furnace. The new patented heat exchanger design provides improved airflow, which reduces operating sound by 20%**, making it one of thequietest furnaces on the market. And because it’s high-efficiency, your monthly energy bill will give you even more reasons to smile. 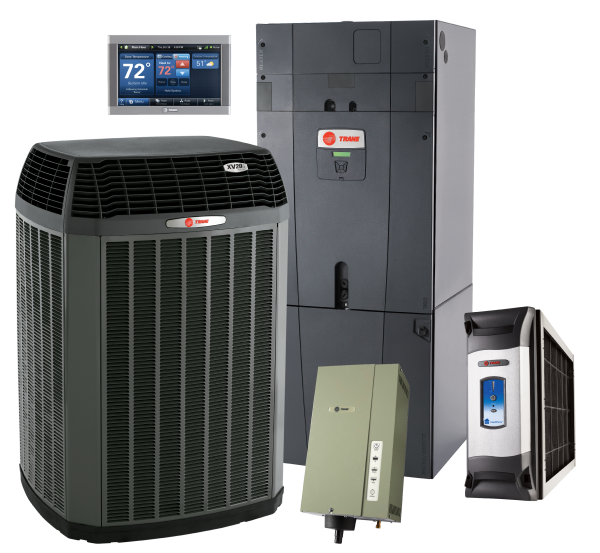 Rheem Air Conditioners and Heat Pumps.